A) Reputation and a proven track record of successfully bringing out the best in students. B) A fun, supportive and productive learning environment catering exclusively to adults. C) The amenities offered (indoor arena, outdoor arena, riding fields, trails, etc.) enhance their learning experience. 2) Do you have any available horse boarding stalls at Laurel Ledge Farm near Montville, CT and how much are they? 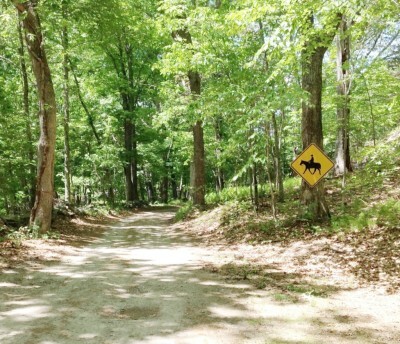 3) Why don't you accept children into your riding lesson program at Laurel Ledge Farm in New London County? 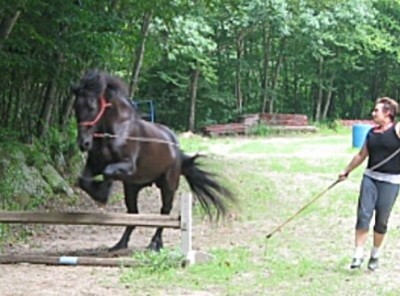 The success of any riding program revolves around the suitability of the lesson horses. Our lesson horses and saddles are an appropriate size for all levels of adult riders. We do not have any horses, ponies or saddles small enough for children. 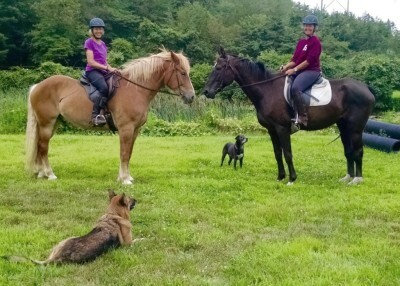 4) How much do horseback riding lessons cost at Laurel Ledge Farm located near Montville, CT? are learning. Click here for pricing information. 24 hours notice is required for any cancellations or changes made to a weekday lesson or ride. You will be charged the full rate without this notice. For Saturday and Sunday lessons or rides, changes or cancellations MUST be made by noon on the preceding Wednesday or you will be charged the full price for the lesson. 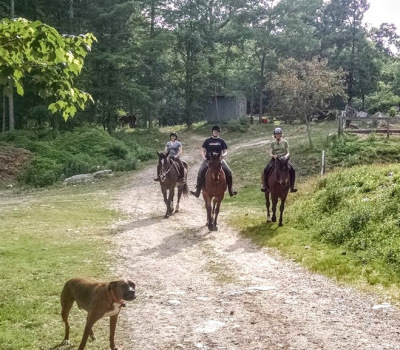 6) Do you have trails at Laurel Ledge Farm? Yes, we have a wonderful trail system for the use of students regularly taking lessons. Different trail riding options are available depending on the skill level of the student and instructor approval. We have thousands of acres adjacent to the farm and you can ride for hours without repeating yourself. If you prefer to stay closer, there are many trails surrounding the barn. For additional trail ride information, click here. 7) Is Laurel Ledge Farm open in the winter? Yes. We have an indoor arena with an overhead sprinkler system for dust free riding year round. Our comfortable lounge, bathroom and tack rooms are warm and cozy. As long as you dress appropriately in layers to peel off, you will be pleasantly surprised how comfortable winter riding can be. 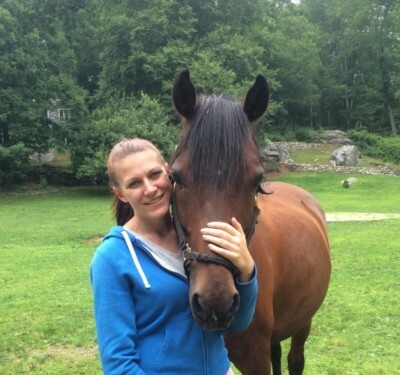 8) How do I get started taking riding lessons at Laurel Ledge Farm near Montville, CT? Most students find that scheduling a riding lesson is the most beneficial way for them to experience and evaluate our lesson program . Or, maybe you need more information. In either case, give us a call and leave a message so we can return your call. We will answer all your questions and then schedule your horseback riding lesson when you are ready to get started.